Tortuga Backpacks Talk Distributed Work and Living on Your Own Terms. We recently met with Taylor Coil, Marketing Manager for Tortuga Backpacks, a company that produces backpacks for city travellers. 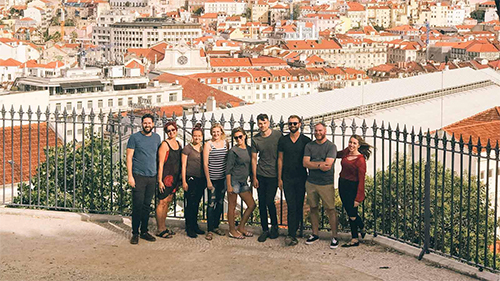 Tortuga, a distributed company, has employees from all parts of the world; from America all the way to China. Tortuga’s flexible, forward-thinking work culture and well-made products have been recognised by The New York Times, Business Insider, Wirecutter and Entrepreneur magazine. Can you tell me about your professional background? What led you up to where you are now? In my early full-time adult career, I was a consultant for startups. My work was all office-based and involved very-long hours. I did this for about 5 to 6 years and I was in a constant state of burnout. The American work culture is this: if you’re not exhausted and sprinting all the time then you’re not worthy. When I was an early twenty-something, I definitely bought into that narrative. Then, at the age of about 25 or 26, I had this sort of enlightenment, where I changed everything about my life in a very short period of time. I think it was coming to terms with the fact that I didn’t agree with the way I was living. I was working all the time and feeling stressed. I found myself striving to have ‘busy’ as a badge of honour. I got a remote marketing job with Tortuga. I worked and travelled around the world for about 8 months. Following this period of constant travelling, I decided that that lifestyle wasn’t for me. I realised that I would rather have a home-base and travel occasionally, instead. Now, I work for Tortuga while living in New York. And, every so often, I go away. Did you look for remote work because you became disillusioned with the extreme work ethic in American culture? Well, it was a lot of things. I knew I wanted to travel. I had never been to Europe. In fact, I had rarely been out of the country. All of sudden, it felt ridiculous to me that I was putting travel off. That I was sacrificing travel in the name of literally everything else in my life. You see, I grew up with my career in the digital age, where literally everything in my job had to do with being online. I rarely had an in-person meeting; all my clients were in different cities. My work was essentially remote. I saw the futility in trying to convince myself that being in an office, surrounded by other people was important. Around this time, I started to read this literature about how open offices are extraordinarily distracting for certain personalities (my personality, in particular). It also struck me that it was ridiculous that I had 5 vacation days a year and I was using them to just take a breath and prepare to sprint again, instead of actually trying to enjoy my life in the day to day. Ultimately, all these factors came to a head and lead me to remote work. How come you decided that travelling and working all the time wasn’t for you. Why did you decide that you’d rather have a home base? It gets to some deep psychological notions, I think. When you don’t truly feel like you have a home, you can feel a bit listless in life. Even, if you’re grounded in relationships and grounded in a career. For me, it felt very much felt like I was drifting and I didn’t want to feel that way. I wanted to feel rooted in some kind of routine, I suppose. I didn’t want to live a life of constant change. It felt like I was still sprinting but in a different way. Now I have a home base in New York City and that works for me. Here, there is routine in day to day life. How did Tortuga come about? When our two co-founders were about 22 or 23, they went on a backpacking trip to Europe. Our CEO, Fred, was working at Google at the time and our other co-founder, Jeremy, had just finished film school. Jeremy’s backpack literally broke on the first day. And Fred, he had one of those really huge, backpacker backpacks. He found it so incredibly frustrating to use during the trip because he would have to dump all its contents onto his hostel bed every night. Then, he would have to stuff it all back in. There was no way to organise it all. Their backpacks were also never ‘carry-on’-sized for flights. It was a nightmare for them. When they came back, they couldn’t find a backpack they needed for travelling. In the end, they made a backpack that met all their needs. Can you tell me what Tortuga does exactly? We make travel backpacks for true, city travellers. We have quite a niche market. There’s the typical hyper-backpacker audience who are hopping between hostels with an enormous, 60-litre backpack. They, quite often, get sick of carrying the weight around. Then, there are those who travel with rolling luggage. And, if you have ever hopped from city to city with a suitcase, it’s very easy to see how frustrating it gets. Particularly, when going up the stairs and when walking over cobblestones. Our lightweight travel backpack blends the organisation of a suitcase with the portability of a backpack. On your website, you state that your mission is to “live, work and travel on your own terms”. How did this mission come about and why is it so important to Tortuga? We believed in your life dictating how, where and when you worked, not the other way around because, so often, we move our entire livelihoods around a job. We move our schedules around a job. Our entire existence is dependent on our workplace. We didn’t think that’s the way the world should operate. For work is not necessarily the most important thing in the world. I read that Fred, the co-founder, hated working in a normal job. Did his desire to create these backpacks facilitate the lifestyle he wanted? It’s funny, Fred sometimes said he created a remote company by accident. When the company first started out, our two co-founders were in two different cities. Fred was in San Francisco and Jeremy was in Los Angeles. Neither of them wanted to move at all; they both loved where they lived. I think Fred stayed put out of self-interest, in the beginning. He then slowly realised that his preference for how to live and how to build a company was shared among the others in the team. They built a remote company around their desired lifestyles. They didn’t realise that, at the time, it was a revolutionary concept. As far as I know, ‘Tortuga’ is the Spanish word for tortoise. Why was the tortoise symbol chosen as the logo to represent the company? 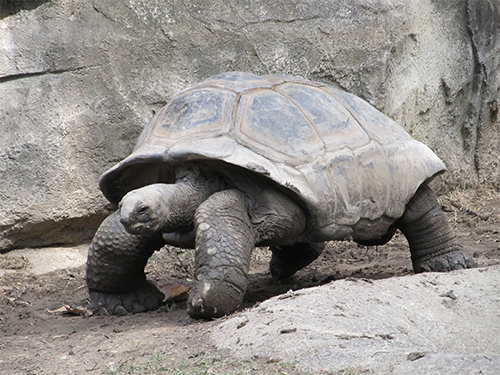 The original idea was based on the concept that a tortoise carries its whole home on its back. And when you’re backpacking around the world, the contents of your bag are quite literally your home, as you hop from city to city. Today, the tortoise has taken a bit more of a meaning for us because, as a company, we believe in doing things slowly and doing things well. We don’t rush to get a product out just because of a competitor. We don’t really rush anything. Things are tested for about 3 months at a time before we decide to do them. In the old Aesop’s fable, fast is not always better. In the end, the tortoise beats the hare. That’s the mentality of the company. We move slowly and intentionally. That’s better for us in the long run. You are a distributed team of 9. Where does your team live and work? There are two of us that are primarily based in New York (Angela and I). Angela travels even more than I do. Angela will spend three months at a time in Europe. She goes to Berlin and London quite frequently. Lauren lives in Texas right now. Garett is in Los Angeles as is Jeremy. Fred is in California and Giulia is in Shenzhen, China, which is where our factories are. Jenn lives in many places. Her primary base is in Canada but she also lives in Guatemala quite often. Is this where everyone’s permanent base is or is this just where they happen to be at the moment? To each and their own, is the real answer to that. We don’t dictate where people live. If people want to travel then, they travel. If they want a home base and that works for them, then great. If that’s what their ‘terms’ look like, then that’s awesome. How does your job involve an element of flexible working? Where does your flexibility lie? I entirely set my own schedule; I decide where, when and how I do my work. In New York, I have a membership to something called Croissant, where I get access to 50 or 60 coworking spaces around the city. There are also coworking spaces in London, Berlin, Stockholm, all across Europe. Location is basically irrelevant to my job. I can set my own hours but I do tend to work the same hours every day. I tend to find that having a routine in my life is very helpful to me. It allows me to maintain a sense of sanity. If you were to pick any words, what words would you associate with flexible working? How does this flexibility benefit you? I work in New York City because I choose to work in New York City. I’m in my hometown this week because I choose to be here. I have control over my own existence and the company doesn’t have any control over my own existence. What are the challenges of working as part of a distributed team? Some companies fear the challenges of asynchronous communication and technology not working. I think these ideas are overblown. I think they’re used as excuses as to why remote work “cannot work” by some organisations. After having done remote work for 2 years, I don’t really see these arguments holding water. But what I do understand is the isolation component. It is very easy to work in your own little apartment every single day and not understand why you feel miserable. It’s really quite difficult as an adult to make new friendships in a new city when you don’t have that little cushion of constant social contact with the same people every single day, in an office, with a shared purpose. I am deep friends with most of the people I work with, but none of them live nearby. So, to meet people, I work in these coworking spaces. I also take advantage of the Croissant’s community events: happy hours and themed coworking meetups. Where do you typically work throughout the week? I typically work in 3 or 4 coworking spaces throughout the week and I try to work from home once a week (when I need to make calls). Picture your ideal working space. Do you currently work in that space? Well yes, but it is not necessarily just one location. I have a few different spaces for different needs. When I need to do ‘deep’ work, I go to this one coworking space on the upper-east side, which has library rules. I’ll plug in there and get about 2 days of work done in about 4 hours. However, it can be isolating there because no one makes eye-contact with each other or says ‘hi’ to each other. Although you’re around other people there, you still feel alone. If I need to get stuff done but don’t need to do ‘deep’ work, then I go to Rise, which is in the “Flatiron” district of New York. It’s a bit more social. I’m quite likely to see someone I know there. 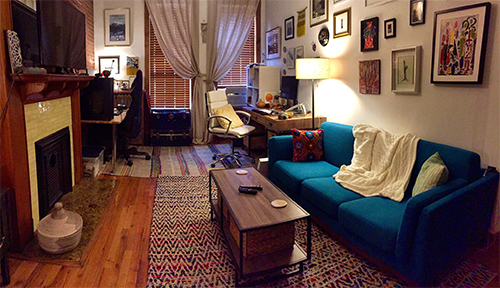 When I’m feeling like I don’t want to brave the MTA (the New York subway system), I work from my tiny New York apartment. It’s a cosy, little hide-out. What types of people or companies inspire you and if so, why? I look up to companies that want to be a tribe of people rather than capitalists that are trying to exploit. I like companies use their brand to represent their identity and culture. Companies that don’t just use their brand as a means to just sell something. Flexible Schedules Help Create a Healthier Workplace. Here’s How.